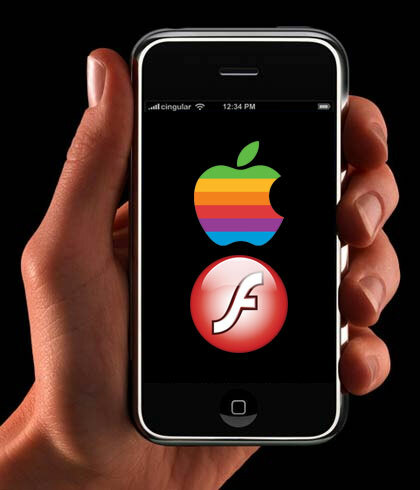 Steve Jobs Posts Open Letter Explaining His "thoughts on Flash"…. Update: Since we posted this story earlier we have learned the Wall Street Journal is currently in the process of interviewing Adobe CEO Shantanu Narayen regarding Steve’s letter. We will bring you the full story soon and the CEO’s response shortly. Original story below. While many of the thoughts outlined by Steve in this letter touch on a lot of the things we have heard before, Jobs does try to explain that the decision to not include Flash on their mobile platforms isn’t necessarily just a business decision, but one “based on technology issues”. Below is the full letter. 12 Responses to Update: Steve Jobs Posts Open Letter Explaining His "thoughts on Flash"….